I read this article and found it very interesting, thought it might be something for you. The article is called 7 Restaurants to Go in Essaouira and is located at http://trip-n-travel.com/listicle/22352/. Whether on a vacation or on a business trip, food is something that you should not miss out on. Essaouira is a place that has different restaurants that offer wide varieties of local and international dishes. Here are the 7 restaurants to go in Essaouira, Morocco. This establishment is run by a family who are very friendly and provides good customer service. You can find this open restaurant at the roof of a riad or open garden. The dishes, which are mostly seafood, are fresh and excellent. If you order lobsters, you can choose one from the lobsters that are in the open tank. They also serve various alcoholic drinks. Validated parking is also available. This family-run restaurant is set back from the road so it may be a little tricky to find such place. However, your travel will definitely be worth it. A couple of camels will welcome you as you enter the place. You get to have a taste of a wide variety of cheese that the establishment will serve to you. The staff are friendly and courteous. 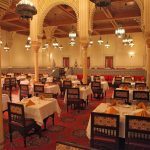 They serve Moroccan cuisine for both lunch and dinner. This small and family-run establishment has a modern ambiance to it. The staff members are all attentive to each customer’s needs, providing excellent customer service. The rates of the dishes are all worth it as the ingredients are all fresh. In general, they serve delicious food from starter up to the dessert. The menu choices are limited, though, as this is a tiny restaurant but will not surely disappoint you. 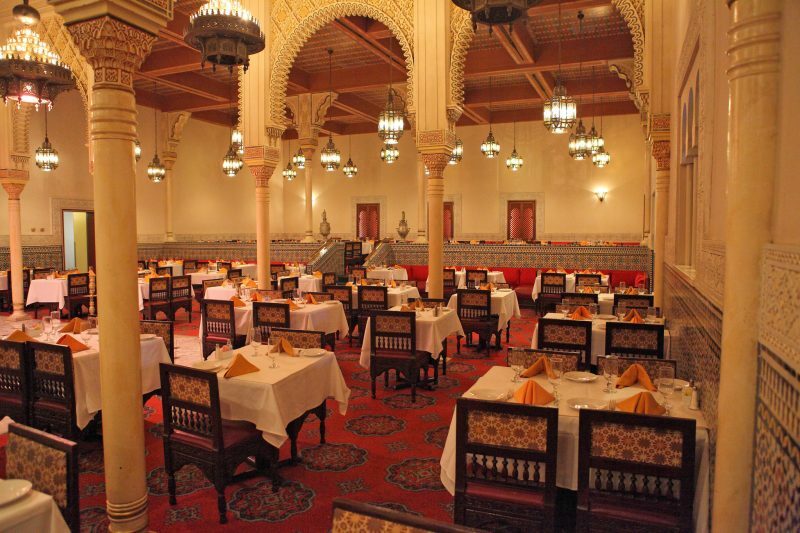 This particular restaurant serves Moroccan and Halal cuisines from lunch time up to dinner time. This is a great place to go for those who are dining on a budget or for those large families that include children. This is also a family-run restaurant where the husband is the one who serves the food that the wife prepares and cooks. The dishes are delicious and their prices are reasonable, too. If you or your companions are craving for Mediterranean, French, and Vegetarian cuisines aside from the traditional Moroccan dishes, then, you should try out The Loft Restaurant. The restaurant is small yet you can feel a funky vibe from it. The menu may be small but all dishes are nice, indeed. Professional and friendly staff will also attend to your needs. This restaurant services Italian dishes that allows you to take a break from traditional Moroccan cuisine. Most of the ingredients that they use to prepare and cook the dishes are fresh from Italy. Customer service provided by the friendly staff is excellent. While you eat your dinner, you will also be able to listen to live music. They also serve good wines. The owner will even help you choose the best wine to go along with your meals. Outdoor Seating and Street Parking are available. Although the entrance is a flight of stairs, as it is located at the rooftop, the interiors of this particular restaurant is well-decorated. The friendly staff work efficiently. The dishes that they serve are guaranteed fresh and delicious. The prices of the dishes are also reasonable. Aside from that, live music will also serenade you while you eat your meals. Alcoholic Drinks are being served. With these top restaurants, you will definitely not go hungry in Essaouira. You can choose from different dishes that these restaurants serve. Since most of these restaurants are family-run, you will also get that homey feeling like you are just eating in your own home.